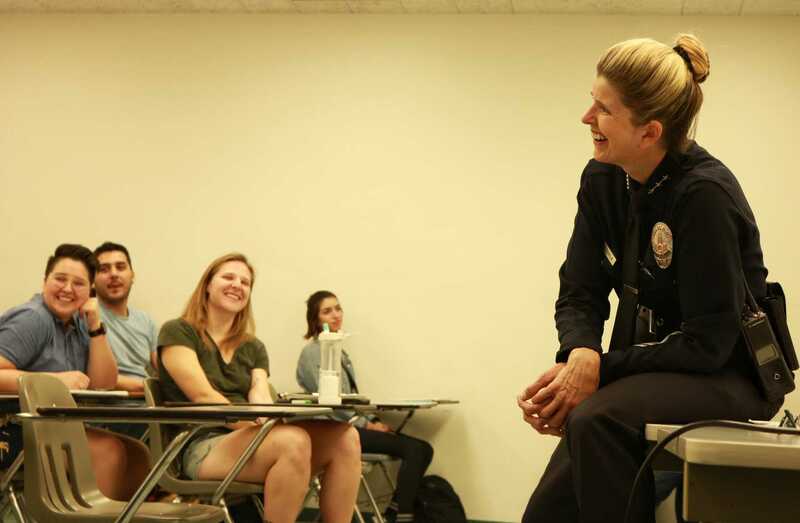 Los Angeles Police Department Assistant Police Chief Beatrice Girmala visited CSUN instructor Matthew Clements’s Queer Studies 302 classroom to speak about the city’s efforts in achieving LGBTQ+ community safety and support Monday evening. Deputy Girmala, Director of Office of Special Operations, spoke about the progress that the LAPD has made in helping safety issues within the trans community. Before Girmala achieved her current assistant chief position, she was the captain of the Hollywood area for nearly six years. She worked with the LGBT center, Project Angel Food, and the trans community to create better connections among the queer community and the LAPD. According to Girmala, the department was getting complaints of abuse and lack of sensitivity towards transgender people within the jail system in 2004, which sparked changes in LAPD policy. At the time, former Assistant Chief Sandy Jo MacArthur and five members of LA’s transgender community came together to rewrite LAPD policy and restructured the jail system in order to properly accommodate trans people; from intake forms to hormone therapy medications. It was the first time LAPD had a non-law enforcement group to ever rewrite policy. Today as assistant police chief and department coordinator for domestic violence, hate crimes and LGBTQ matters, Girmala continues her liaison with the LGBTQ community and works to create a system where the community can propose ideas, lead agendas, and inform the LAPD on how they can improve. Girmala went onto discuss the underreported issue of hate crimes and how the department shifted their methods to properly identify and effectively report these crimes. Rather than making victims go into busy police stations to report these incidents, the LAPD created “soft rooms” at various LAPD stations, to allow victims to feel more comfortable when reporting a hate crime. Kennedy Saldana, senior, Psychology Major, who identifies as genderqueer, shares a close connection with Deputy Girmala after meeting her in 2016 at the 50th Anniversary Black Cat reenactment. Saldana believes that the LAPD’s efforts are beneficial to the LGBTQ+ community. 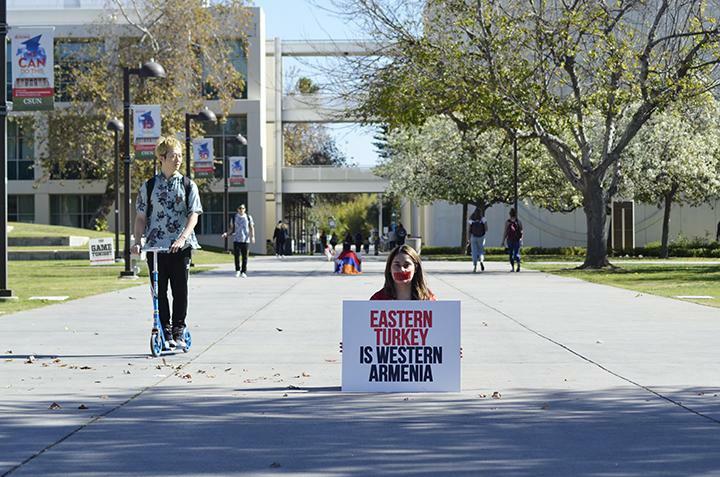 Rachel Thomas, senior, CTVA major and Queer Studies minor, says that she is very happy to hear about LAPD’s efforts. “The fact that she [Girmala] literally turned around to looked at a list shows that they have made huge improvements,” Thomas said.